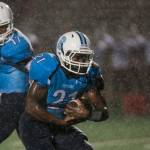 Multiple Teams · Dec 7 More Fall Season Accolades for Skyline Athletes! 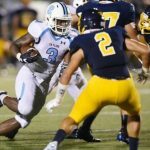 ANN ARBOR – Ann Arbor Skyline linebacker TreShaun Hayward had high expectations heading into his senior season, and he didn’t disappoint. Click here for more. 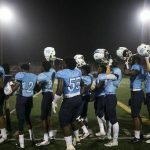 Ann Arbor Skyline is the high school football king of Ann Arbor after its 21-20 win over Ann Arbor Pioneer. Read more here. ANN ARBOR — Hunter Rison needed to take a step back from his commitment to the Michigan State football program back in November. 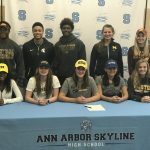 But after evaluating his ever-growing options, the Ann Arbor Skyline junior decided to stick with his original decision. Click here for more. Daelin Hayes will be a member of the Fighting Irish class of 2016 . 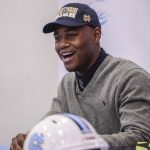 On Thursday, the recently graduated Ann Arbor Skyline linebacker announced his decision to be a mid-term enrollee at Notre Dame. Hayes is a consensus four-star recruit, ranked top-three in the state and top-10 among linebackers in the nation. Read more here.